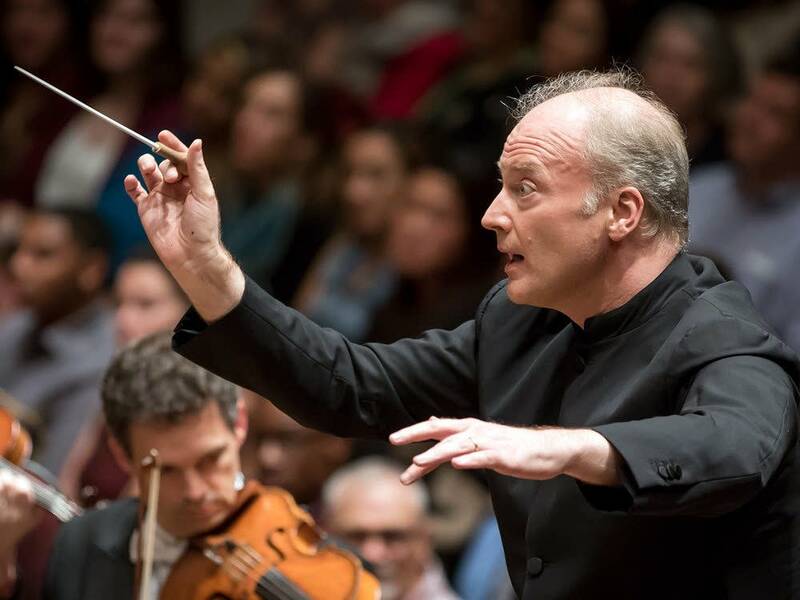 Gianandrea Noseda wants to break down a few long-standing barriers to classical music. The next music director of Washington, D.C.'s National Symphony Orchestra thinks jeans and T-shirts at his concerts are fine. Confused about when to applaud? Noseda says that if the music moves you, go for it. "Music is a part of life," he says. "It's not in a mausoleum. Music is written to be shared." The 52-year-old Italian conductor was named the NSO's seventh music director last January. The news was joyously received in the classical music community, especially here in Washington, where Anne Midgette, in the Washington Post, characterized his appointment as a "coup" for the orchestra. "Noseda is a star at the world's leading orchestra and opera houses." He officially takes over the orchestra next fall. 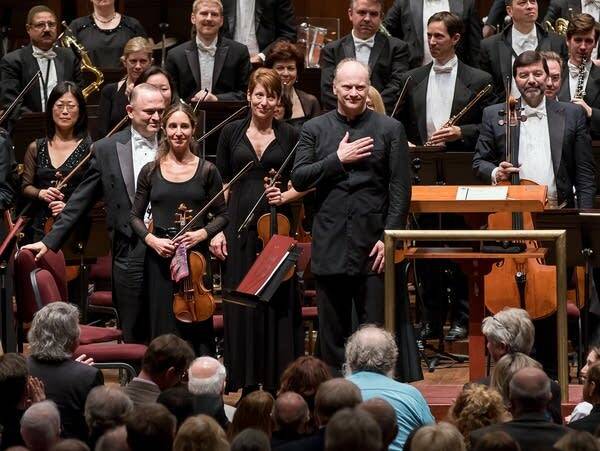 Noseda was in Washington earlier this month to lead his first concerts with the NSO as music director designate. He dropped by NPR to talk about his hopes for the orchestra, his idea of the conductor as Formula One driver, and his love of the rock band Queen. Tom Huizenga: You just finished a run of three concerts, your first as the music director designate with the National Symphony Orchestra. The performances were of the complete ballet Romeo and Juliet by Prokofiev. How did it feel to you? Gianadrea Noseda: I felt very well since the first minute of the first rehearsal. But even more, in performing, I really thought we were able to tell the story. This is the crucial thing. When on stage, even without words, we were able to convey the message of Shakespeare through Prokofiev's music. And, of course, now we have to deliver constantly this kind of quality. Can you tell from these three concerts what you need to work on with the orchestra, in terms of the sound, and what's fine just as it is? When I was offered the job, I immediately realized that the potential of the National Symphony Orchestra is really high. It's huge. So the aim we have to achieve is just to be consistent. That is my duty, I think, because all the qualities are there. I have to be a motivator. So of course there is some work to be done. The classical critic of the Washington Post, Anne Midgette, delivered a rather sobering view of the National Symphony Orchestra last year. She wrote that while the orchestra has "excellent musicians," it was "lackluster" and "haunted by the curse of mediocrity." Those are pretty bold words. I'm wondering how you react to something like that. I think we have to change our way, probably, to approach music and to be always on the spot and try to give the quality, because quality is there. Of course it's not enough to play three good concerts. We have to play at least a hundred great concerts. After that, I think people will realize what a jewel they have in town. I strongly believe it's a big opportunity for myself and for the orchestra to start a new chapter. A new chapter means there are chapters before. I can build upon the basis of work already done. I have to praise the current music director, Christoph Eschenbach, because the people he hired in the orchestra, they are all fantastic. I think there is the possibility to make people realize we can really be a great band. We can serve the music in the way I think the music should be served -- with a humble feeling, but also with pride, and give our talent at the service of the voice of the big composers. So this is a big challenge. But it's a challenge every orchestra in the world has to face. The orchestra does have a lot of potential, because you can hear it now and again. It just needs someone to work whatever magic you conductors work to realize that potential in the musicians. So how do you do that? Is it simply inspiring them, or do you actually micromanage by deciding bow strokes, for instance -- things like that? No, I'm not a string player, but I can suggest, of course, some bow strokes. It's part of my profession. But you also have to have the complete trust of the concert master and the string players in the orchestra. I always give an example of a driver in a Formula One race. There are two types of drivers: the ones who can really drive the car very fast, and the others who drive equally fast, but they immediately realize what can be done in the engine or with other things. A conductor should be able to do both. When you are at the concert, you are the driver, and the machine should be responding to you. But in the rehearsals, you have to be able also to change the oil, the pressure of the tires, and to change the gears sometimes. So you're going to be with the NSO for four years. Can you accomplish a lot in that time? Absolutely. The work can be done much faster because of what we were talking about before -- the potential in the orchestra. All the players know that to make music, you have to put your talent at the service of the talent of the others. Do you feel the pressure? When you were named, I thought, 'OK, here's the guy who can really take this orchestra to another level.' Do you believe you can do that? It's been done before. Simon Rattle did it in Birmingham and Leonard Slatkin did it in St. Louis. A conductor should leave an institution -- in 10 years, 15 years -- in better condition. That is the legacy. Of course I feel the pressure, because as a performer, you're going to be judged every single performance. The major aim is I try to do the job as best I can, to have with myself a sort of honest integrity and just to be as close to the music as I can. And that will be respected by the artists of the orchestra and by the audience. I would not like to be considered as a liar, or someone who just tries to make up things. No, it's real. You can like or dislike, but at least you can appreciate the seriousness of approach. Shifting gears a little bit, what kind of music did you hear growing up around the home? Oh, I've listed to all the kinds of music. When I was a teenager, not only Italian pop singers, but also some very famous groups at the time. Someone close to my heart was Queen and Freddie Mercury -- really great. But the Beatles and Rolling Stones I've absolutely listened to very intensively. Not professional musicians, but my father was an amateur chorus master. So I always had the upright piano at home. I started immediately to make experiments on the keyboard. Now, let's see if I have this correct. You're the music director of the NSO, the music director of the Teatro Regio di Torino, the principal guest conductor of the London Symphony Orchestra and the Israel Philharmonic, plus the principal conductor of the Orquesta de Cadaques and the artistic director of the Stresa Festival in Italy. And then there are all these orchestras where you do all this guest conducting. Isn't that too much? It depends on the commitment and the time they require of you. My principal jobs are here with the NSO as a symphonic institution and in Torino as a music director of the opera house Teatro Regio. The other two commitments are very important. I feel very committed to them. But in terms of time, to be principal guest conductor of LSO and the Israel Philharmonic takes much less time than you expect. For instance, with the LSO I will have three or four subscription concerts in a season, plus a tour with them. With the Israel Philharmonic, I usually spend two weeks a year. And of course I do some recordings with both orchestras. And the Orquesta de Cadaques is pickup orchestra on the style of Chamber Orchestra of Europe. And the Stresa Festival, in 15 years since I started, now I've built up a very cooperative team, so I can do much of that through email, just using the technology. Is it hard, when you're involved with all these different symphonic groups, to cultivate strong relationships with the musicians? I like to be considered a musician among other musicians. So I respect the players I work with in different orchestras, because I think the ultimate aim is just make the highest possible quality music. That is the same all over the world. I always say as a conductor I can have the most beautiful ideas, I can conduct with the most beautiful gestures, but if I don't have people reacting and transforming sound, what is my idea? My work is zero. Does an orchestra have to like you? Is that what it takes to get a good sound from an orchestra? I think probably the first step is to be respected. Second step is to be liked. But I'm sure even in orchestras where we love each other, maybe two or three -- or four or five or ten -- they will just respect me more than love me. I don't think people are interested in the words of Gianandrea Noseda, but more interested to listen to the "words" of Wagner or Gershwin or Bernstein, Mozart, Beethoven -- of course through my eyes and through the sound of the orchestra as I conduct it. Here in the United States, we ask a little bit more from our music directors in terms of really being out there in the community, glad-handing a little, helping to raise money and promoting an awareness of the orchestra. How do you feel about jumping into those kinds of duties? The duties as a music director in America are, yes, more numerous than in Europe, but I gave my availability. And if you need me, just use me. If you need me to meet with people, I am the happiest possible person to meet people. I think we have to destroy the idea of the conductor closing the door and always thinking and being so philosophical. Of course we have to look deeply inside the music, but also -- at least for myself as a normal person -- I like to meet people. Because I think life is also made of meeting people who think like you or think differently. The idea that the American music director is more out there in the community brings up the question: What should the relationship be between the NSO and its community? To be perceived as an orchestra that is a crucial part of the life of the society. I think already the NSO does important things, like play in hospitals. Why don't we take three musicians and play in the places -- restaurants or pubs -- where they can meet the people? Why, if I'm here, don't I go walking down the street, buying food in the supermarket and taking a taxi to a restaurant? Not to be recognized as the music director of the NSO, but to be recognized as a normal person who lives a life like everybody else. To get to know your own community. The most terrible thing for a conductor is when you put on the "mask" of the conductor. The "now I am the conductor" mask. I am like I am. You can like me, dislike me, but this is what I can offer. This is my personality. Classical music has enough problems like that as it is. People think classical music is not very approachable because it's held up on some kind of pedestal, or you have to wear a certain type of fancy clothing to go to the concert hall, or you don't know when you're supposed to clap and when not. They are problems, of course. But also I want to tell you, if you come for the first time in a concert and you feel you want to applaud or cheer, do it. You will not annoy me. Because music is part of life. It's not in a mausoleum. It's not done to be saved or to be protected. Music has been written to be shared. Probably I will not wear shorts to a concert, but if you have just jeans and a T-shirt, why do you have to feel embarrassed, even if next to you there is a guy or a lady who likes to dress up to come to the concert? Let's keep it open to everybody. Music is so vital. Why do we have to put the music in the Frigidaire just to preserve it there? Let's connect. Let's build bridges. I think it's so vital in the 21st century. It's so vital to be welcome and to welcome, and to respect and to love. That's why I also like to perform the music that will be composed tomorrow -- not only the music that was composed three centuries ago. Let's talk a little bit about repertoire. Washington audiences have a reputation for being conservative. I have not conducted here often enough to know the conservative taste. I think the crucial point is to make people discover that what you already know can be transformed. That is sometimes a problem for the usual concert-goers. I just tell them, "Allow yourself to be surprised even if you hear a very well-known piece of music." If you develop this attitude of curiosity, you will be more open to listen to something you don't know. So what about music by contemporary composers? I've been looking back at your discography and I don't see too many who are still living. No, in my discography there are not living composers. But in the broadcasts of the BBC -- because I served as the principal conductor of the BBC Philharmonic -- I conducted a lot of world premieres. Are there some composers today whose work you're interested in? I think James MacMillan is a very good composer. I think Mark-Anthony Turnage is a very good composer. Talking about Italy, we have Giorgio Battistelli and Luca Francesconi. I can present their music not only in Italy, but also all over the world. And of course there are composers in America. My homework now is just to find out. The program I will do in January for inauguration week will be music by John Williams, one of the greatest movie music composers. I will present the suites from the movies Lincoln and JFK. If you had your wish, where do you see the NSO in five years? Recognized as an important orchestra that inspires the life of the society in Washington, D.C., but also an ambassador of human values through the music all over the world. So tour activity. But I also hope to start to increase recording activity. And I think to be recognized as a bunch of people who really believe in what they are doing, playing at the best possible level.